Ok so my last post was a complete age ago! I do apologise. I suppose life got in the way, not just that but I lost my focus on the blog, posting pretty pictures of other peoples photos of weddings and from other blogs was really nice but it wasn’t me, it wasn’t my words. When I started the blog I didn’t plan for it to be a wedding blog, although to be fair I wasn’t engaged when I started the blog! I want to get back to writing about me and my life and my hobbies that I get up to. Of course the wedding is still being planned so there will be updates on that too! So whats been happening? Well rather than boring you with details of the past few months, I am going to start a fresh from today. I haven’t done much baking the past 3 months, both me and the Mr have been on strict diets for the wedding, I am glad to say I have lost 3 stone! 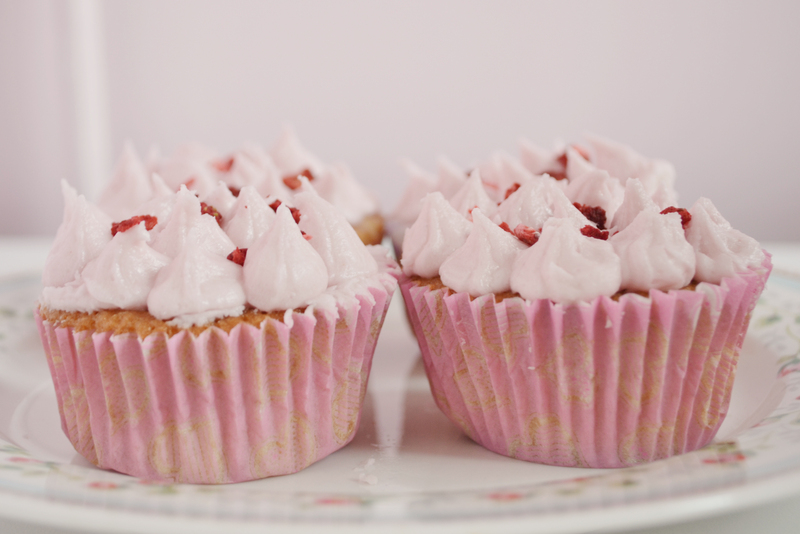 I do however really miss baking and now that I have almost reached my target weight that I set for the wedding I feel like I can start enjoying baking again, but of course being careful NOT to put the weight back on! 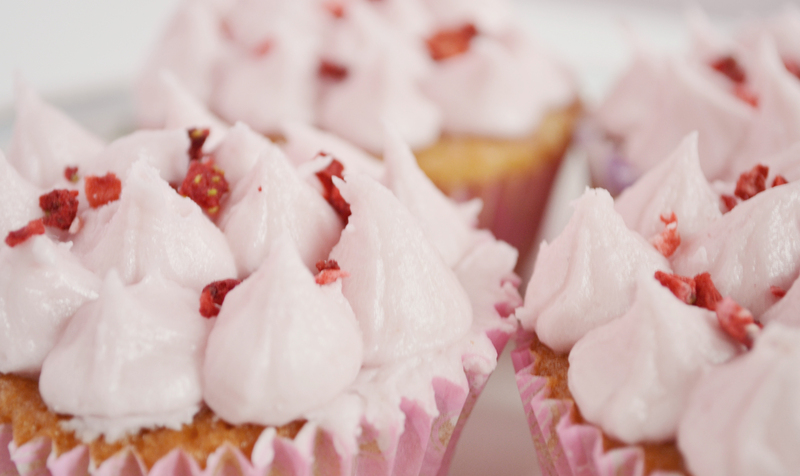 The great way to do that is to give the majority of what I bake to family and friends. I am actually planning a vintage tea party for my hen do, but more about that another time. I recently bought the new Hummingbird Bakery Cookbook – Home Sweet Home. I already have one other of their cookbooks Cake Days. I love these books they are full of recipes that I can’t wait to try, the recipes are easy to follow and taste delicious! 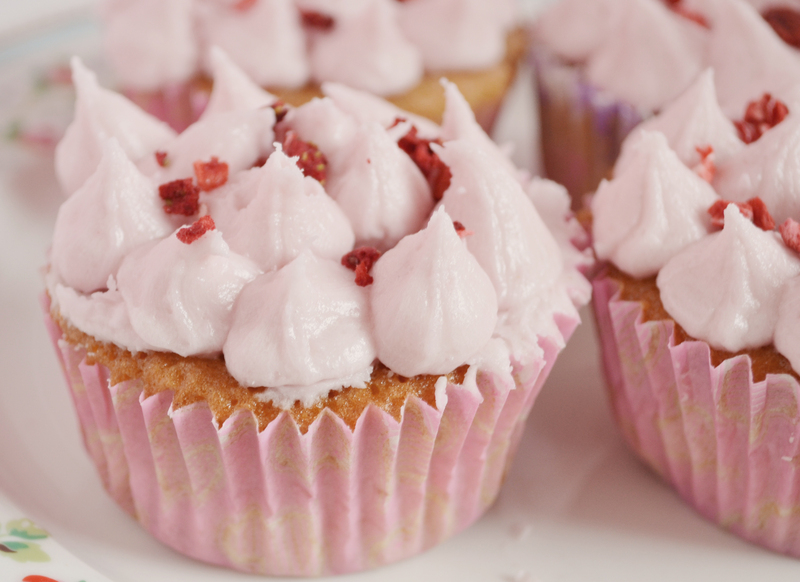 The first recipe I tried from the new book was the Strawberry Milkshake Cupcakes, and my do they taste good they really do taste like strawberry milkshake! If you are familiar with the Hummingbird Bakery you may know that they tend not to pipe their icing preferring to smooth it on with a pallete knife, I however cannot resist a bit of piping I think it gives it a great finish to a cupcake. I decided to pipe little peaks rather than a swirl as it kinda makes it look more like a strawberry, I also added some freeze dried strawberries sprinkled it onto the top to finish it off. 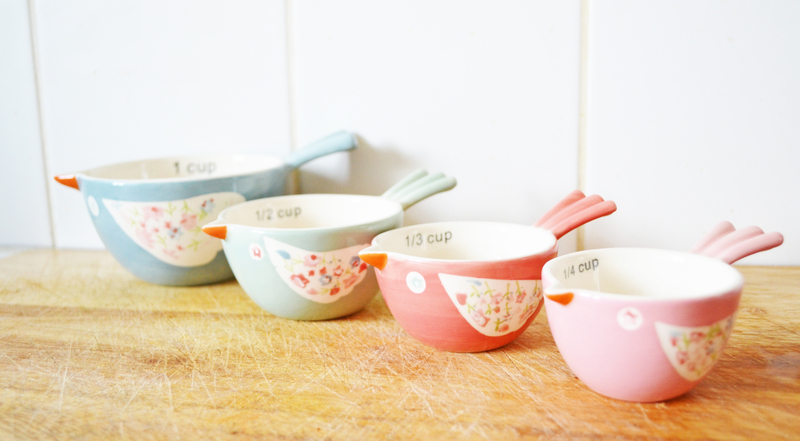 As I am starting to really get back into baking I had to treat myself to some measuring cups. I didn’t have any before and when I saw these on the John Lewis website I HAD to buy them. 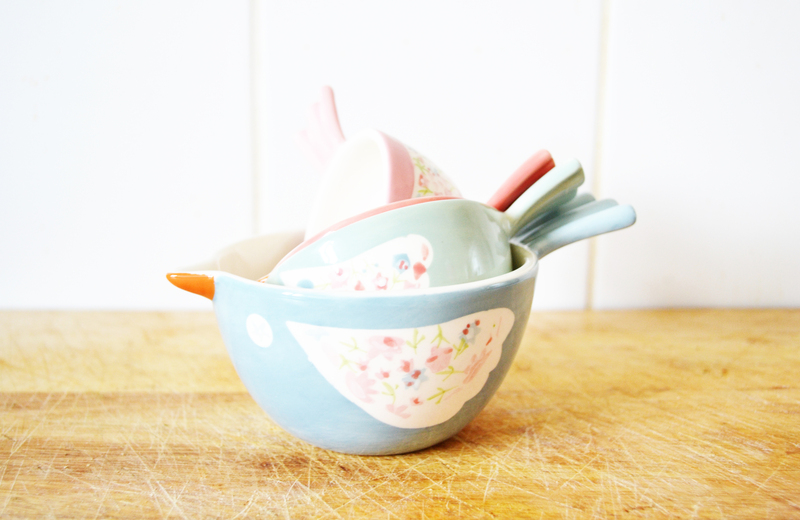 It means all the recipes I bypass because of cup measurements I can now give them a try!